After my adventure into making mozzarella and ricotta cheese I decided to go ALL IN! If I was going to make the cheese then I might as well make the pasta sauce and the pasta…….right? After a little searching I wound up modifying a recipe from Mother Thyme. She has some great recipes, so check her out!! 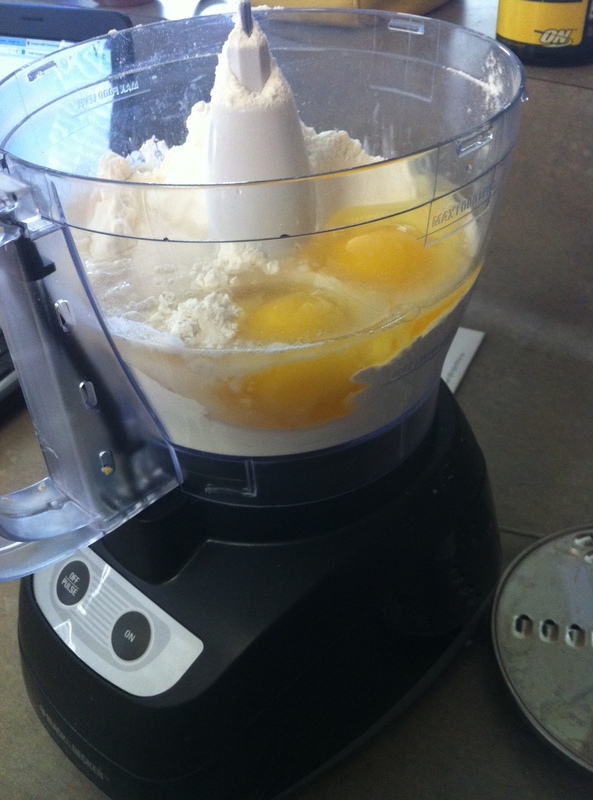 Dump all the ingredients into a food processor. Pulse until the dough forms. 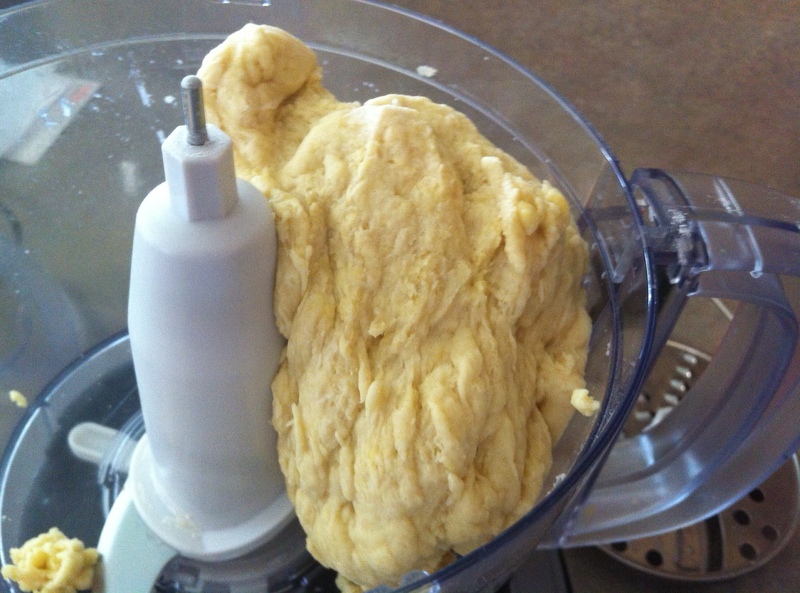 Roll out the dough on a floured surface and cut into slices. 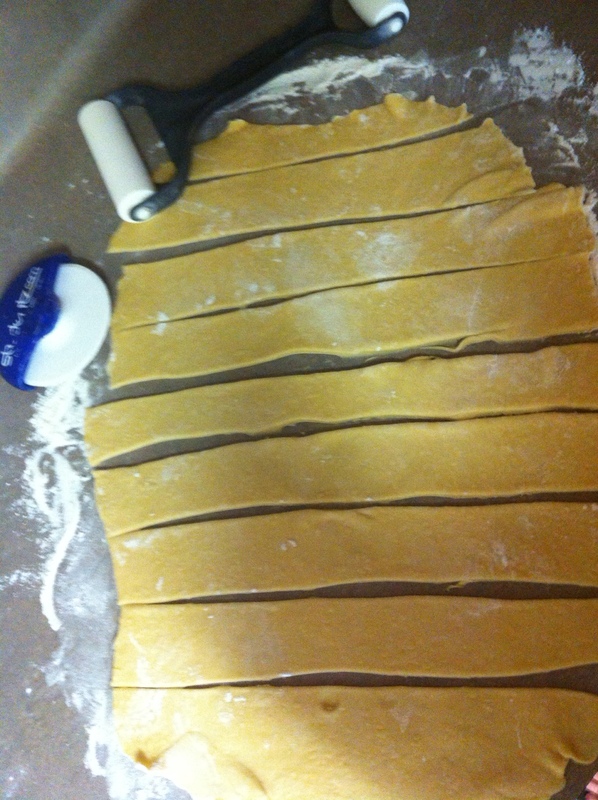 Roll them thin, you should be able to get enough from this recipe to make three layers in your lasagna. You can use immediately, lay it out to dry, or even freeze it! If you let it dry, make sure that it is completely dry before storing it. It will be brittle so be careful. If you freeze it, put your strips between layers of parchment paper and lay flat. It will last in the freezer for 2 months.